The splashy water’s edge is a reminder to make a splash in our own lives, doing what makes us feel most alive! We can all use a bit of sun and sea, wherever we live! Take a minute right now and think of the wet sand beneath your toes and the salty seawater splashing around you on a warm sunny day. It’s amazing how such simple things can take us to a place that feels so vibrant with life and love. 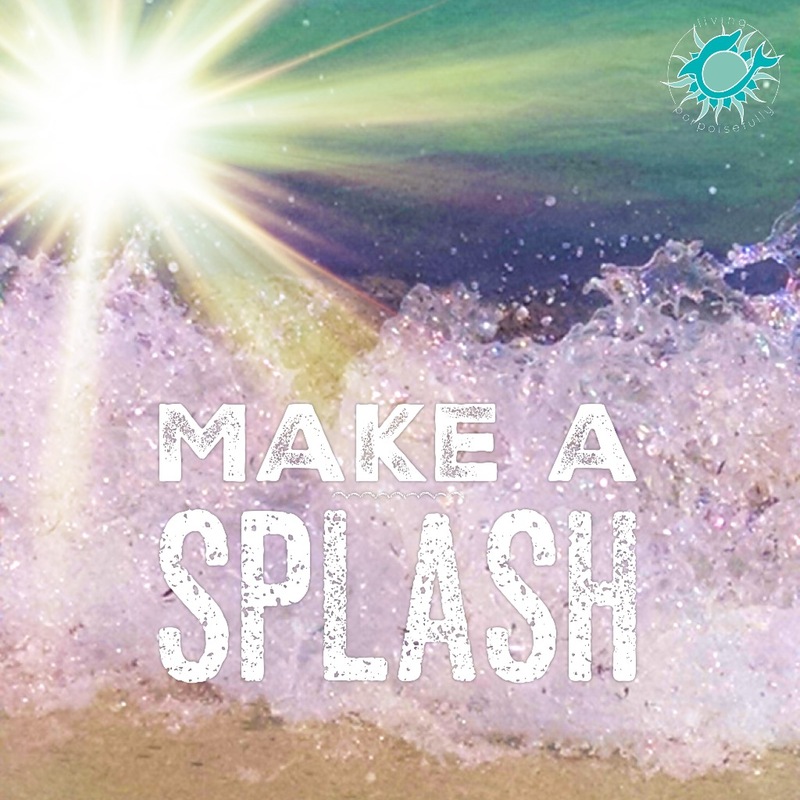 Not only is a dose of sun and sea a boost to the soul, but it’s also right on the water’s edge where we get inspired to make a splash in our own daily lives: the exuberant, joyful energy that surges from inside us into the outside world. It’s these splashes that make us feel most alive! For us, our energy is at is “splashiest” when we’re creating our children’s books, traveling, doing craft projects, teaching about the ocean, and of course sharing ocean inspiration with you here, but it comes in so many forms and is unique to each individual. So make a splash with the exuberant, joyful energy that comes out doing whatever it is that makes you feel most alive! Thank you! I needed that energizer today! I wish I could have my feet in the sand right now.